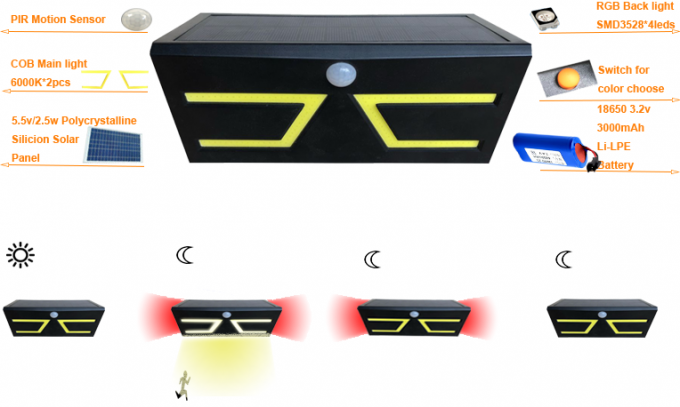 If you’re looking for an unobtrusive and powerful Solar motion sensor light, Our Bright LED Wireless Solar Powered Motion Sensor Light is a solid choice. 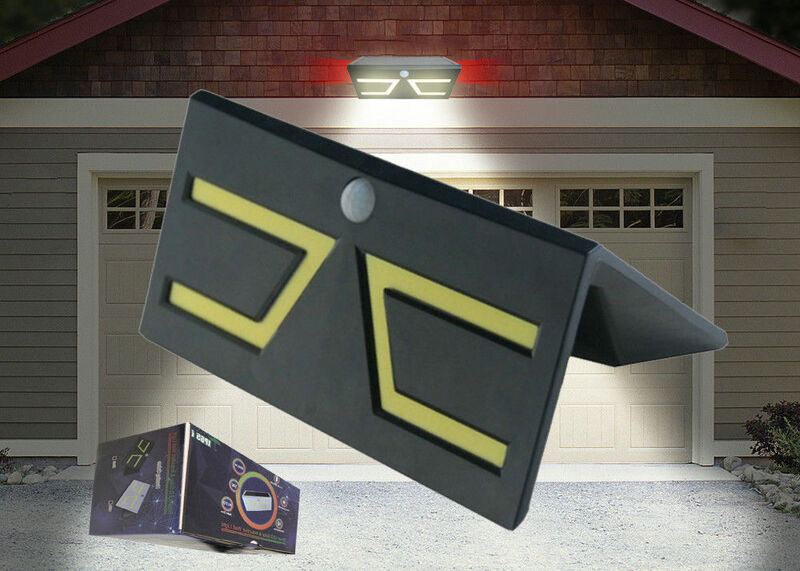 It’s a COB RGB Lighting LED outdoor light that’s waterproof, heatproof, and made of high impact ABS plastic, so it’s not only bright, but also durable. Whether you use the light to illuminate a dark walkway for safety or as security lighting that helps scare off a would-be burglar, you’ll appreciate that the light stays on a dimly lit mode. Once motion is detected within a eight meter activation zone, the light illuminates. There are 4 pcs SMD 3528 high brightness leds behind the lamp.red/green/blue color or RGB changing color can be choose for garden decoration. We promise 2 years warranty for our solar sensor lamp.